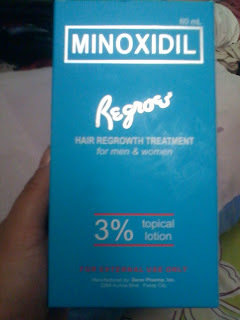 To accomplish one of my goals for this year, I went out and bought Regroe Minoxidil hair regrowth treatment. Yes, its been one of my wishes since last year which is to stop my hair fall and get hair regrowth treatment. I'm turning 30 this year (and you bet your gonna hear a lot about that from me in my blog this 2012) and well it got me seriously thinking that I should really get to take care of myself which definitely includes my hair! My hair has been my pride and joy for a long time now. I haven't had it professionally cut last year because I've been growing it out and I want it to be long. Yes, I cut my own hair which actually just means that I only trim it so that there won't be any split ends. Anyway, the split ends is not my main problem. Hair fall and thinning hair has really concerned me recently. And no, that's not a wig that I'm wearing! 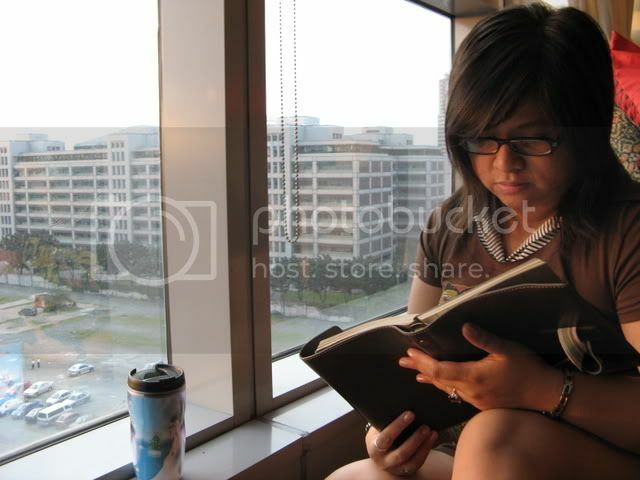 I used to have awesome thick hair. Seriously. Yes that's me in the photo above. I think I was 8 at that time. And look at my glorious thick hair. Mukang wig. Haha! But ever since 2008-2009, I have noticed a drastic increase in hair fall. I know that this is mainly due to stress. I was at an "emo/depressed" state at that period of my life PLUS I was balancing work AND my grad studies which really took its toll on me (6 case studies = stress to the highest max). I ended up doing bad things to my hair to remove stress. Like having a haircut. SHORT. Like real short. Emo Moment Days = Haircut. This was one of the better pictures. haha! No hair loss yet, but I kept my hair short to relieve me from some stress.. It was kinda cool at the beginning but since I had low self-esteem at that time, I ended up hating my hair and myself. Not good vibes definitely coz my hair started to fall more than it used to be. Whenever I take a shower, I see a lot of my hair on the floor. The most horrifying moment for me was after I squeezed the water out of my hair and the next thing I knew there was a bunch of hair strands on my hand. It really freaked me out! I knew then I really had to do something about it. I've tried changing shampoos and even switched to herbal shampoos last year. 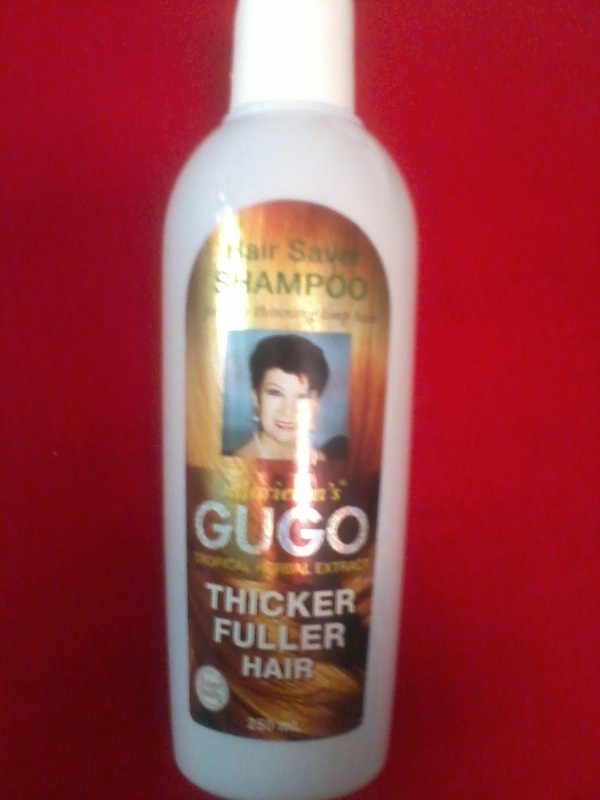 Recently I've been using this Marietha's GUGO Tropical Herbal Extract for Thicker Fuller Hair. In fairness, the hair fall has lessened a lot. Which is good news for me. 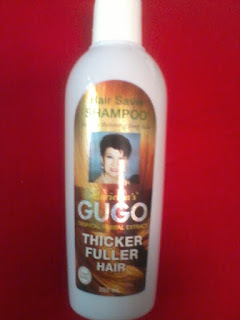 But I just don't need thicker and fuller hair. I need my hair to regrow. I've checked out the advertised hair growers out there and finally I was able to stumble upon REGROE Hair Regrowth Treatment. Regroe has Minoxidil which works to stimulate the hair follicles into growth. I've read up on it and I'm glad to know that it is US and Philippines' FDA approved. Regroe claims that Hair Growth will start on the third week and visible hair growth on the second month. 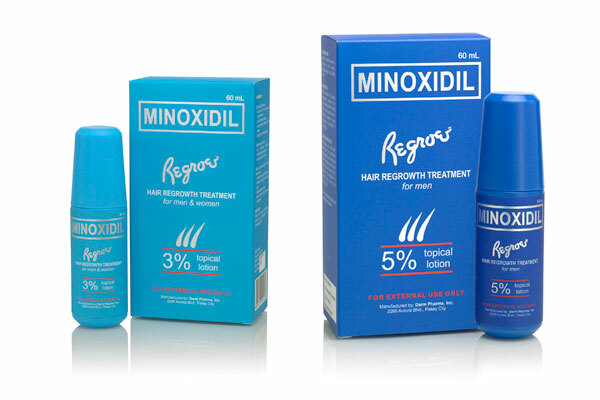 PLUS, with a price of almost Php 600 for a 60 ml bottle of 3% concentration of Minoxidil, it isn't as expensive as the other hair loss treatments out there. Believe me I've asked and looked around! Does it work? Well hopefully it will live up to its testimonials and reviews. I just bought it last Friday so I've been using it for four days already. I bought Regroe 3% Topical Lotion which is advised for first time users and for women. I'm supposed to use it 2x a day. The 60ml Regroe at 3% is supposed to last me for a month. When I bought it, I was able to get a promo! They gave me two small sampler bottles of the 5% one which I will use once I've used up the 3% one. Hopefully by this time, I will be able to see improvement. I'm excited to see the results and I will definitely give a more updated review about this product around February. Right now all I can share to you is that I've been following the instructions on how to apply it. One thing that was constantly advised by the saleslady, the instruction manual, and the other websites about Minoxidil is that one must wash one's hair before application, make sure the scalp is dry before spraying, and rub it in the scalp in circular motions. If you are interested in trying this out, well you should make sure though that you read up on it. I'm not promoting this product yet coz I have yet to see the results. One definite warning that I can give to you right now though is that it ITCHES. But it goes away after a while. I'd just like to think that its working. hehe. According to research, hair loss usually starts at the crown area. As you can see, my hair is thinning at the crown area especially where I parted my hair. So I'm praying real hard that this will work! So has any of you coffeeholics experiencing these hair loss problems as well? What hair loss treatments have you used and which have found effective? Do please share and let me know! I think this is coz of TE.... i forgot the meaning but it is somehow due to stress and others.. ill try this but if not il going to cut my hair and go bald. 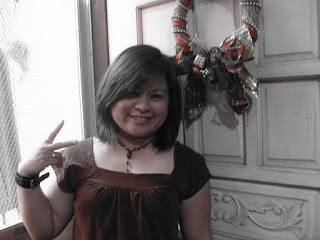 .nagsisimula na rin akong gumamit nito..nakakapagtaka lang na sa edad ko ay nalalagas na agad ang buhok ko....21 pa lang ako.excited na ako sa result.sana maging effective..!!! Saan pwedeng bumili ng pregroe shampoo and conditioner?? I used to buy it at Landmark. I'm not sure if its still available. Haven't been using these products for some time. Will update this soon. Hi Carizza! Shempre ngyon ko lang nabasa. haha. sorry. Unfortunately my determination to continue this product dwindled. Yung tinuro sakin process on how to use it, ang daming seremonyas nag sawa ako. But after talking to a coteacher who used it regularly and religiously sabi nya it works talaga! So I wanna restart using this again.